Gisborne city and district froze under the first snowfall in 25 years when Arctic conditions prevailed for several days this month. 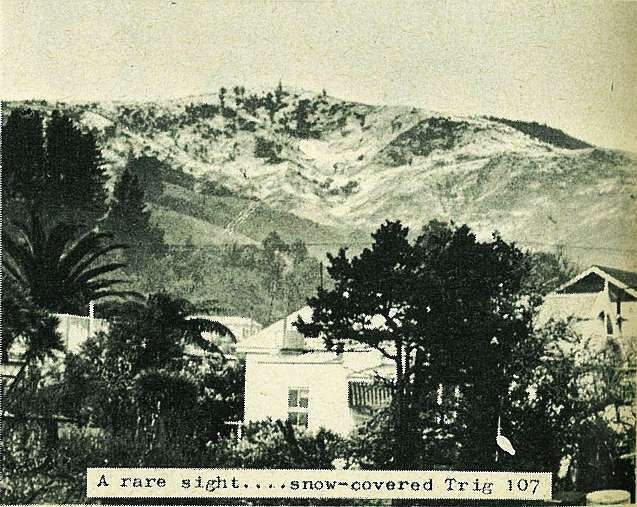 Although only light flakes fell in the city, and never looked like settling on the ground, the surrounding hills, including the 950ft Trig 107 to the north of the city, were covered with a good white mantle. 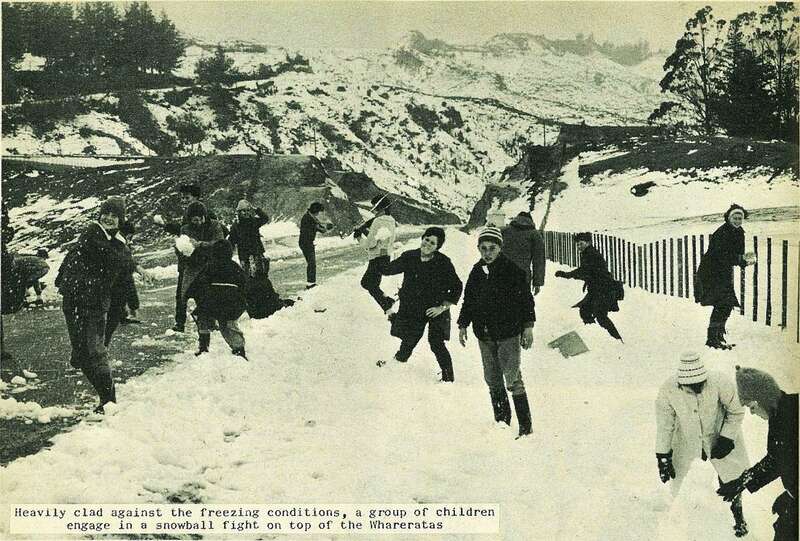 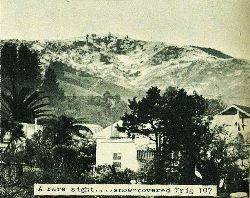 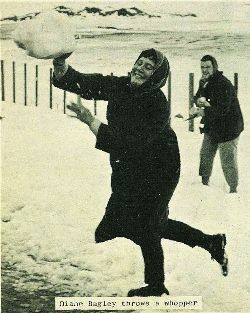 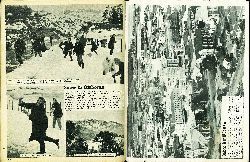 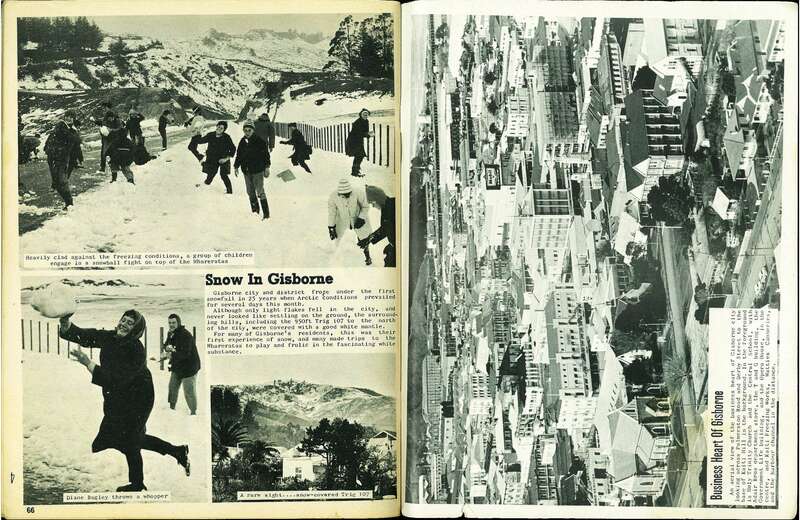 For many of Gisborne's residents, this was their first experience of snow, and many made trips to the Whareratas to play and frolic in the fascinating white substance.